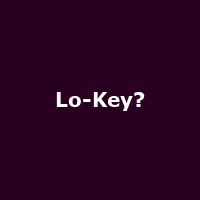 Lo-Key? are an American hip hop/ RnB band from Kansas and formed in 1991. They had a hit with the 1993 single, "I Got A Thang 4 Ya!" which hit the top spot on the Billboard Hot R&B Singles chart.